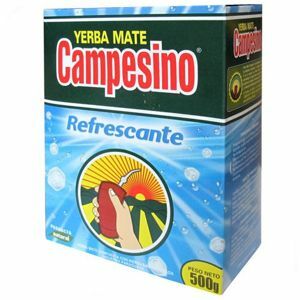 Refrescante Campesino Yerba mate is a very balanced composition. It is light and pleasant. It includes about 8% of the leaves of mint and mint oil. 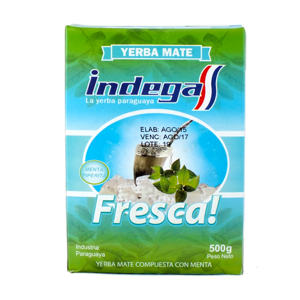 This refreshing, aromatic, finely diced stems of yerba mate is ideal for daily consumption. 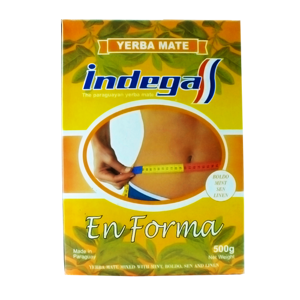 If you are looking for effective action yerba mate with the properties of herbs. This Indega En Forma is just for you! A popular Paraguayan manufacturer focused on composing a universal blend. Get to know one of the most perfect taste combinations of yerba and mint. Delicately flavored with peppermint and grass seeds, it provides a pleasant experience for your taste buds. 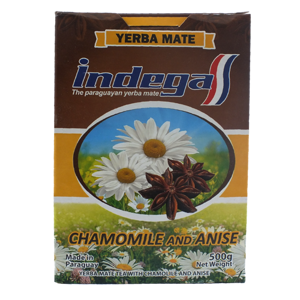 Indega Manzanilla y Anis is a natural yerba mate from a great producer from Paraguay. Expressive bitter flavour combined with a hint of chamomile and anise provide an unforgettable taste experience. A guarantee of strong stimulation! 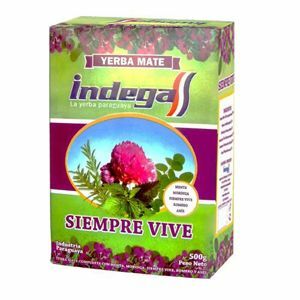 Indega Siempre Vive is an aromatic composition with the taste of five herbs: oilseed oil, rosemary, anise, parsnip and peppermint anise. Recommended by the producer in the form of tereré, so that we will extract its naturalness and unique taste.